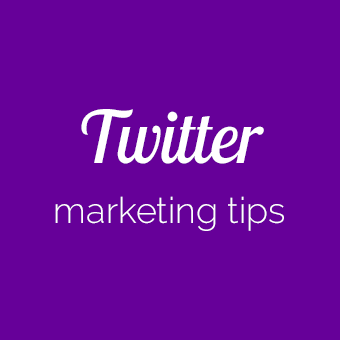 Twitter Marketing Tips to attract and engage leads for your small business. • Optimizing your Twitter business account. • How often and what time to post on Twitter. 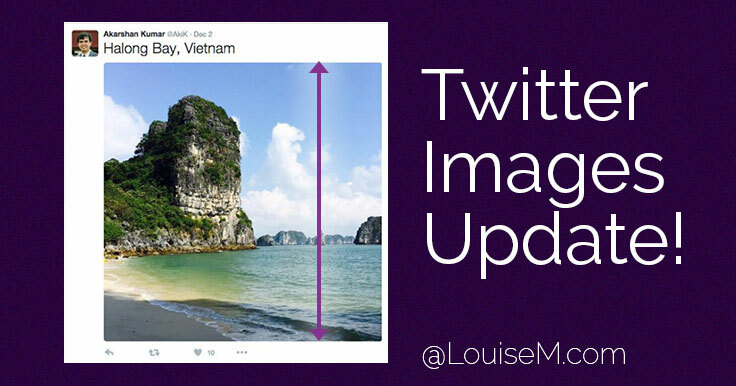 • Best tools and sizes for Twitter images. • How to schedule tweets. • Understanding your Twitter analytics. 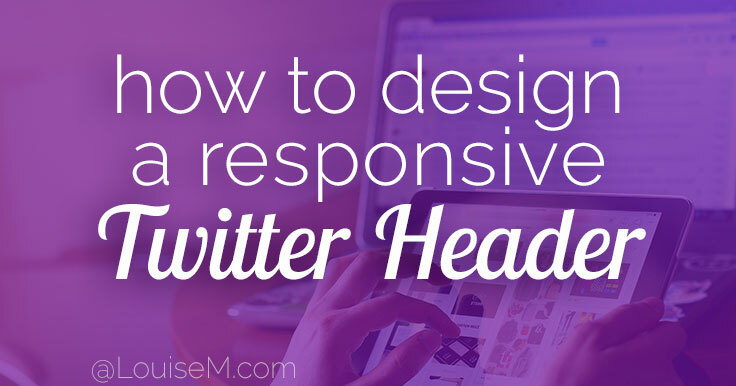 • Designing an effective, responsive Twitter header. 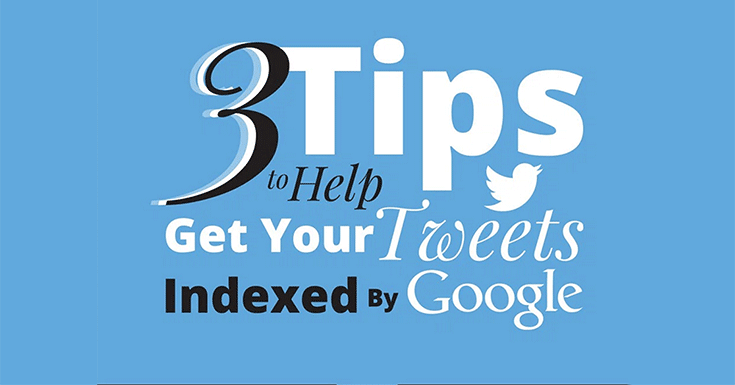 • How to get your tweets indexed by Google. • How to get more retweets. LouiseM.com was named by Feedspot as the 12th best Twitter Marketing blog on the planet! Enjoy my Twitter tips that help you get more leads and business. Are your tweets on Google search? Want to use Twitter images, but don’t know how to make ’em? 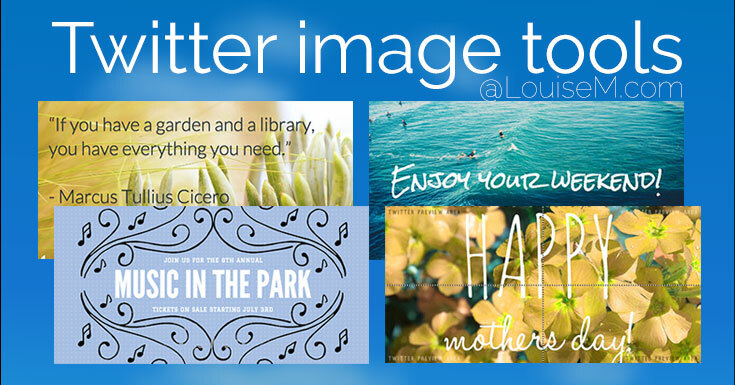 Check out these Twitter image tools! Not only for Twitter, these design apps will help you whip out images that are sized just right stand out in the tweet stream. But they take time to upload one by one! 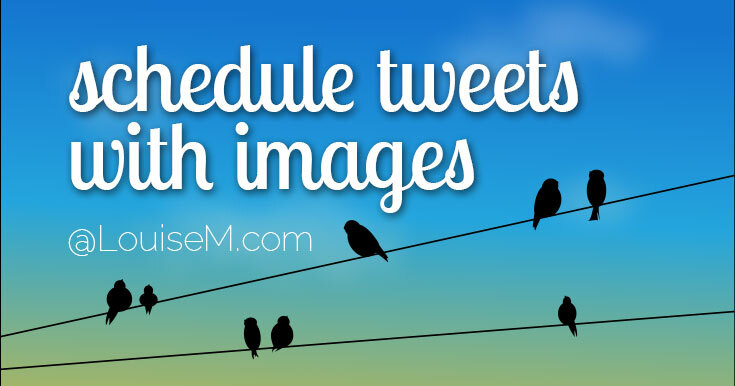 What if you knew how to schedule tweets with images in a few minutes a week?